2018 College Expectations Volleyball Camp hosted by Sweet Briar College, June 29 - July 1, 2018 near Lynchburg Virginia, Directed by Tom Houser. Fun, intense, learning, inexpensive summer volleyball camp...it's all here! 2018 College Expectations Award Winners! Very Back Row: Coach Danny Miller, Coach Blair Trail, Coach Eddie Matthews. Back Row: Coach Katey Holley, Coach Bre Lockhart, Elysia Salon, Jenna Hux, Macy Calhoun, Adrienna Salyer, Meghan Orr, Mollie Hays, Nicole Leal, Destiny Haley, Cassie Tanton, Kaycee Fansler, Savanna McMillion , Adrienne Cline, Bailey Calhoun, Emma Claytor, Kaylee Scarce, Marissa Graham, Sydney Litwiller, Coach Allison Williams, Coach Nicole Barringer. Not in the picture: Kinsley Stevens, Kealey Sterne. Coach Houser, we traveled almost 1500 miles from Texas to your College Expectations Camp. We have not had good luck with camps. This camp was an incredible experience. Everything was highly organized, the instruction was sound, and the athletes had fun. The Sweet Briar College campus was the perfect setting for this camp: The Elston Inn is immaculate and the people are friendly. The campus is stunning. The Activities Center was first-class. Most importantly, the staff at the camp was top-notch. The college coaches, the player assistants, the folks preparing the meals - all were extremely professional and courteous. My daughter had a lot of anxiety about traveling this distance to a camp, but within an hour she felt right at home. We hope to attend College Expectations next year - we thought it was the best camp experience that we have ever had. Thank you for all that you did to make this a successful event and good luck to you this year. Friday June 29: 10am to 12:30pm, 1:30 to 4pm, 5 to 7:30pm. Saturday June 30: 10am to 12:30pm, 1:30 to 4pm, 5 to 7:30pm. Sunday July 1: 10am to 12:30pm, 1:30 to 3:30pm. Maximum Campers: Each 8 girls that we admitted will be matched by a college coach and an assistant who has played college vball! The 2018 form is here. Yep, we've already started accepting athletes for College Expecations! The camp flyer is here. Plz share with parents and teammates! T-Shirts! Yes! Again for 2018! * Meals were provided free each day at the camp. * Water bottles needed to be brought from home and were refilled at the camp during the day. You can see more about the Elston Inn here! Pictures from the 2010 - 2017 camps are on our camp Facebook page! Please visit us here. We again are using the Sweet Briar College gym in 2017. It's an incredible facility!! Coach Miller has been the head coach at Averett University for 21 years. Miller has led the Cougars to a 584 - 260 record, going 273-60 in conference play and four NCAA Tournament appearances. He also has won seven conference tournament titles and eleven regular season crowns. The Averett University volleyball website can be seen here. You can contact Coach Miller here: danny.miller@averett.edu or you can call his office at 434-791-5737. 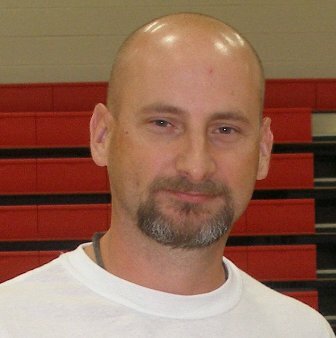 Coach Matthews has over 25 years of college coaching experience. 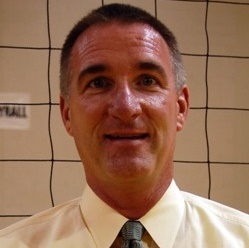 He has been the head volleyball coach at Methodist for 16 years, having taken over the team prior to the 2001 season. He has also been the head coach at Georgia Southern for 5 years, and an assistant coach at UNC for 5 years. You can contact him at ematthews@methodist.edu or his office phone at (910) 630 7187. 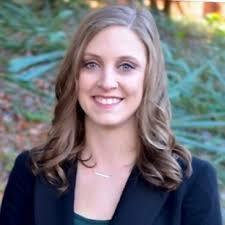 Allison is a graduate of Averett University and is now an elementary school teacher in Pittsylvania County, Virginia. Allison had a great career at AU where she was named Conference Player Of The Year as a senior. She also was named a D3 All-American. She played for Rockingham County HS. She also played for three years under Coach Miller for Caswell Volleyball Club. Allison is now a 3rd grade teacher at Brosville Elementary School near Danville, Va. Allison has assisted with 28 STAR site vball camps. You can contact her at allison.williams@pcs.k12.va.us. Sam has completed four seasons on the volleyball team at UVa-Wise! Sam graduated from Roanoke Catholic School where she was a part of their 3-peat state division3 championship! During that season Sam was named 1st team all-conference and 2nd-team all state!! In the past 3 summers, Sam has helped with 15 STAR camps and in the 2015 summer helped prepare the Roanoke Catholic team for their fall season! She played club vball for 5 years in Roanoke, Va. You can reach Sam at SamEdge29@gmail.com ! "Day 1 is over. My kid's a tired sweaty hungry beast😂😂. "Just wanted to say thank you again for a another wonderful experience for [my daughter]. This is her third year at College Expectations and each year you guys have surpassed the one before. Great job by you and your staff. You are right. They are all great people and great coaches. She will definitely be back for year #4!" "Thanks again for all that you do. You are such a great influence and role model for not only the kids but for us parents as well. Your enthusiasm is definitely contagious!" "Great camp! My daughter said it was very beneficial and she had a wonderful time. The athletes you accepted into the camp were so talented! The girl that got digger of the week was on my daugther's team and I’m so glad my daughter could watch and learn from her. Also the exposure & instruction my daughter got on serve receive and digging was awesome!" 'Thank you so much for allowing [my daughter] to attend your camp this past weekend! She had a great time and learned a lot! It was a great opportunity for her! Thanks again!!" "[My daughter] said College Expectations was the best camp she has ever been to and the most fun....she want you to make it longer. Lol lol. Thanks again for working with her. She actually has confidence in her ability to play again. Woot woot"
"[My daughter] had an incredible weekend!! and I came to watch the tournament !! Seriously you are AMAZING!!! Your tTeam of coaches seemed so positive, upbeat and wow what the players walked away with! Yes, my daughter is SORE, but man she had FUN!! Thank you for this weekend! She will definitely be returning next year!!" "Thanks Coach Houser! Our daughters had a great time! College Expectations was exactly what each of them needed!"